There are some fantastic Perth carpet cleaners, but unfortunately there are many companies who simply don’t ‘hit the mark’. We often get reports about unqualified or inexperienced cleaners who do sub-standard work, and sometimes even permanently damage the carpet. The good news! Our team have searched high and low to bring you some of the area’s best local businesses. These are the companies who are committed to customer service and professional development, and will go above and beyond to make sure you are full satisfied. 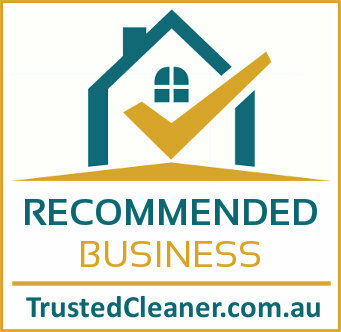 Locally owned and run by Graeme Baumgarten (a master carpet cleaner with over 20 years experience), Expert Carpet Cleaning Perth offers a quality service and competitive rates. Your carpets are cleaned using a nine step deep steam cleaning process, which include vacuuming (using a commercial grade machine), spot treatments, pre-sprays, and of course a deep clean using specialist high powered hot water injection machines. Graeme and his team will look after you, and ensure your carpets are cleaned properly to get the best result. All staff are fully trained and experienced. Commercial work is one of Graeme’s specialities, and he has extensive experience cleaning offices, schools, day care facilities, factories and other buildings. This is not your ‘run of the mill’ carpet cleaning company. Franco Preo, owner of Fresh Aire, is widely recognised as a trusted expert and leader in the industry. He’s the guy that’s called in to fix the problems sub-standard and unqualified carpets cleaners cause or to remove the stains others can’t get rid of! A specialist in stain removal (even the most difficult stains), odour control, troubleshooting and spot dyeing. 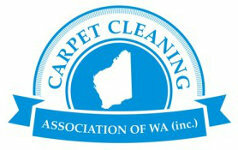 Fresh Aire are a WoolSafe Approved Carpet Cleaner, and a full member of the Carpet Cleaning Association of WA. Franco now runs training courses for other people in the industry. If you are a business or home owner who really cares about your carpets, and wants to make sure they not only look good now but last well in to the future, call Franco Preo today. You’ll get honest friendly service and a no-obligation quote. The Ultimate Clean are one of the ‘good guys’ and stand head and shoulders above the crowd. Run by experienced carpet cleaning expert Brett Prosser, the Ultimate Clean really do live up to their name. They offer all 3 methods of cleaning your carpets and select the method that’s right for the job after they’ve thoroughly inspected your carpet. 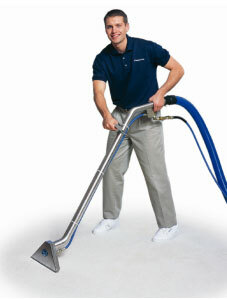 With the Ultimate Clean service your carpets will look new again. Their service includes a pre-vacuum using a high filtration (HEPA filter), pre-spray, rotary agitation, powerful truck mounted hot water extraction machine and specialist stain removal techniques. Their staff are fully trained, experienced in all types of carpet cleaning, and are focused on achieving 100% customer satisfaction. Whilst Carpet Cleaning is our speciality, we have a number of recommended professionals who offer rug, upholstery, tile , window and end of lease cleaning. Many companies used untrained staff, some of them are simply glorified sales people whose job it is to ‘up-sell’ you to more expensive services. Our short-listed companies all use technicians trained by the leading certification bodies in Australia, and agree to provide transparent, fixed price quotes. Companies Servicing Perth, WA (Western Australia).